I do not any of the assets to this file only a tiny portion. You may not re-upload this file anywhere it is a Nexus-only file. People have been asking for this character of mine as a follower for a long time. 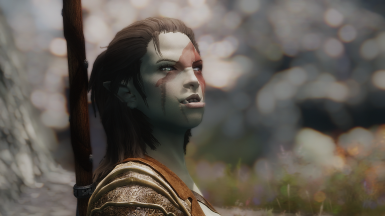 So I decided to finally create her as a follower. 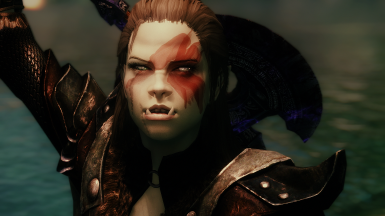 She is one of my oldest characters created way back in 2012, she has gone through some changes but still retains most of her original look with only skin textures. 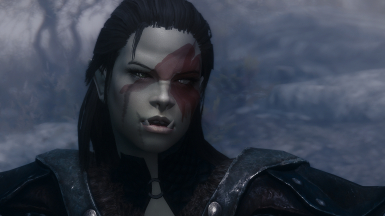 hair and face paint being the most notable changes. 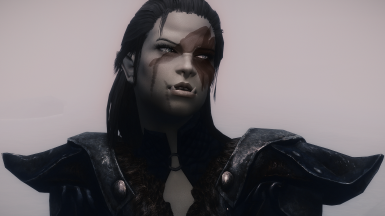 About: Tish is a member of the blades and former member of the Orc tribe Gorlanah, She left her tribe at a young age after growing tired of squabbles with other Orc tribes. 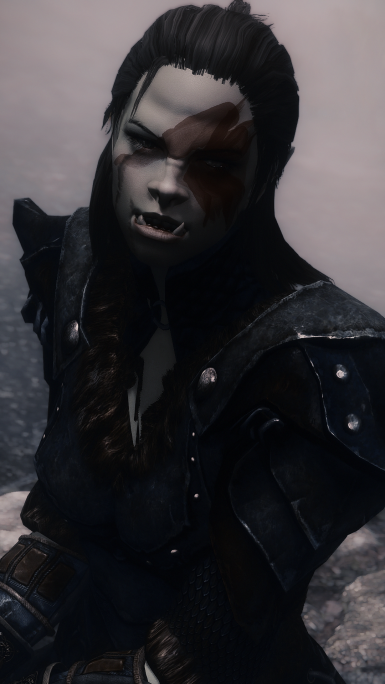 Finding her way to the blades, she now protects the Dragonborn with her life. 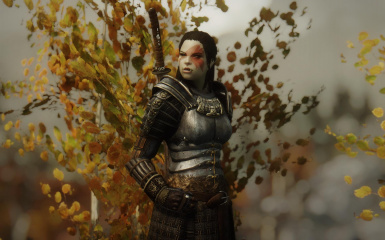 Perks: Tish has perks for Heavy armor, 1 and 2 handed weapons, and Blocking. She also has the Lightfoot perk so she won't set off traps while sneaking. 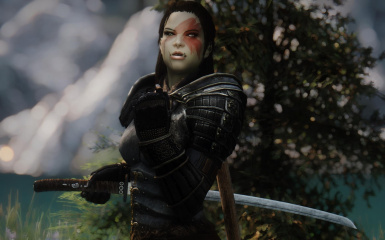 If you choose the 'FemaleSultry' voice option in the installer, you will need a mod that patches it into a follower voice. USLEEP and RDO will both fix this. This mod was created with assets of not my creation. I own a very tiny portion. The is a free mod and always will be. 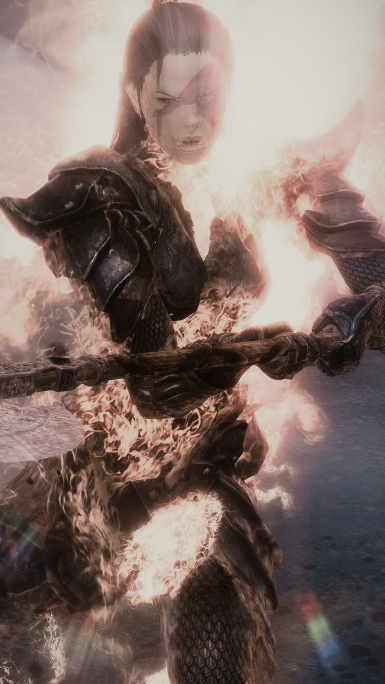 This mod is a Nexus-only mod you are not allowed to redistribute this mod anywhere else. 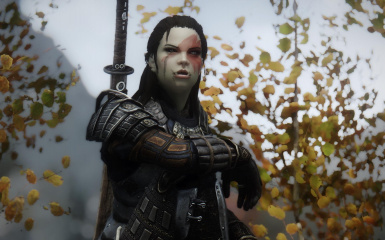 If this mod is found anywhere else other than the Nexus it is stolen and please help by reporting it. I would like to thank MJ (Plooshy), Who helped with creating the Installer and touched up a few things for me and also beta tested Tish to iron out any bugs. Go and check out her followers and presets, you won't regret it.